Why would anybody abuse a parrot? A few of our parrots have been traumatized by being illegally stolen from their natural habitat or from being used as breeding stock in parrot mills. 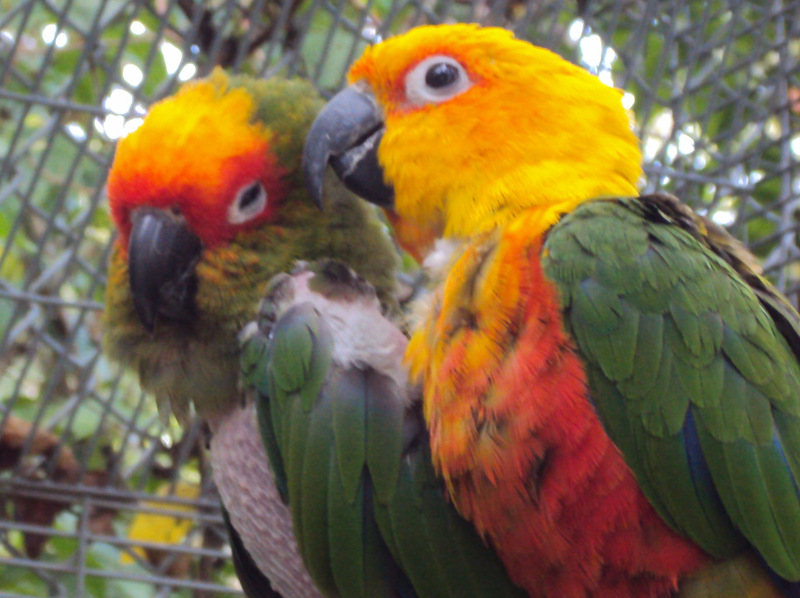 But when a companion parrot is abused, the abuse most often occurs in the domestic setting with their owners. Parrots may be abused and eventually abandoned by their owners, because these beautiful and intelligent birds are very difficult to care for, extremely demanding and highly destructive. The statistics tell us that a parrot owner is far more likely to abandon their bird rather than keep it for its entire life. Welcome to the NEW Garuda Aviary website! See who makes Garuda great! Check out our Credits page! Want to meet our parrots? Our Visit the Flock page tells you how! We are a nonprofit and depend on donations from compassionate people like you to keep our birds healthy and fed. Please help today!